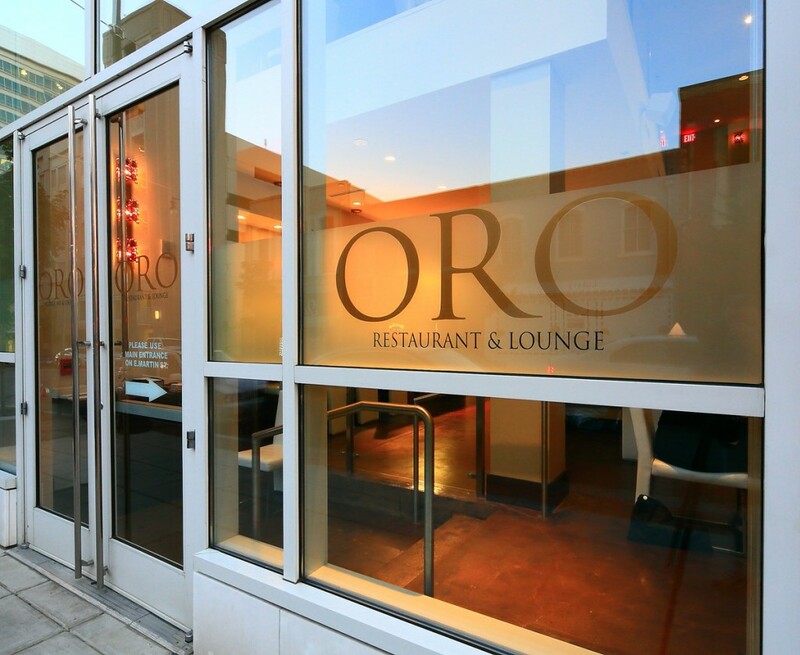 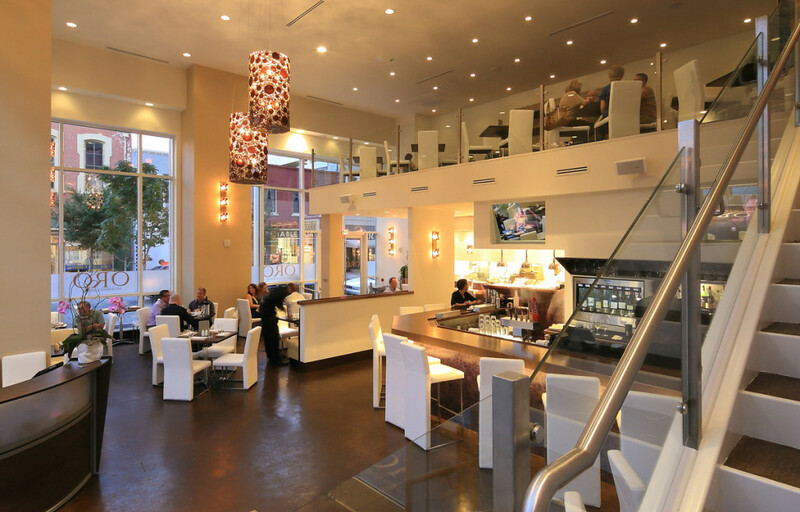 Oro Restaurant and Lounge was designed for one of Raleigh’s most popular chef’s, Christopher Hylton. 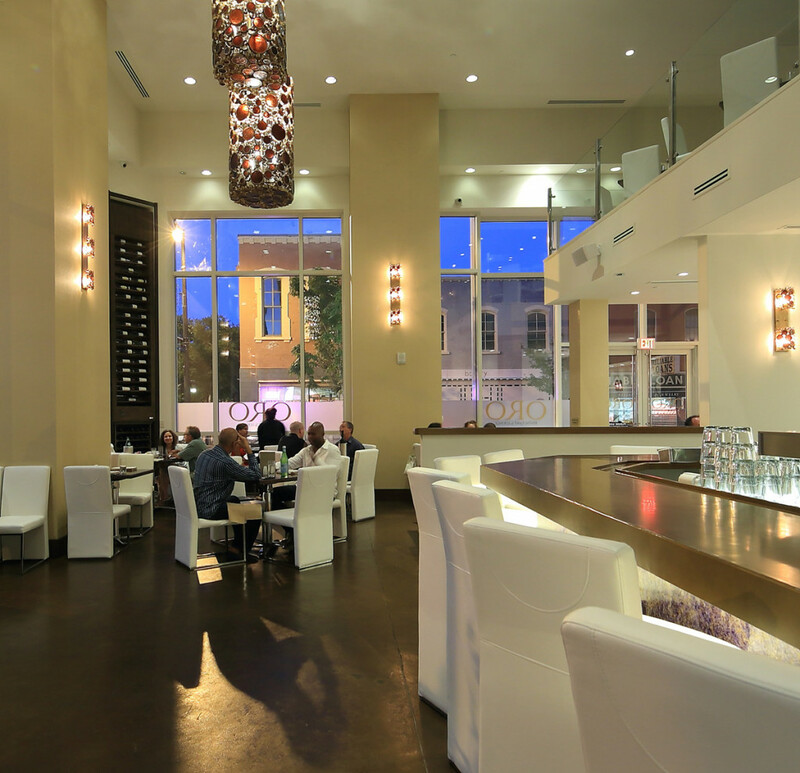 Known for his flavorful and creative culinary creations, the vision behind the design was to create an interior that would become the white canvas to the artful and colorful dishes offered on the ever-changing menu. 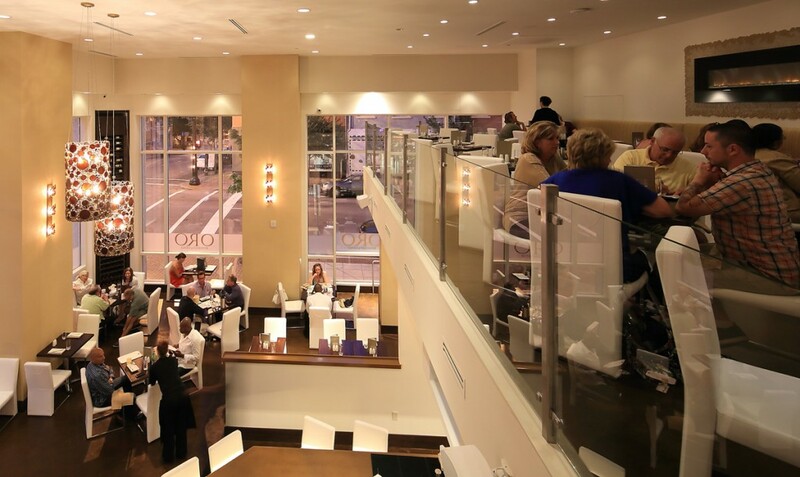 Located in the high-rise PNC building in downtown Raleigh, the restaurant interior with added mezzanine gives the building a sense of chic and sets the stage for the excitement of nightlife in downtown Raleigh. 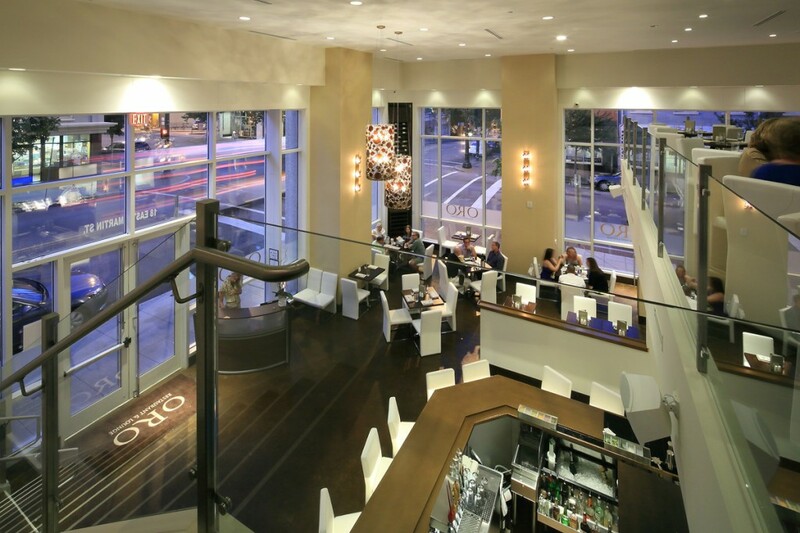 The large scale gold light fixtures and shimmering glass tiled fireplace offer a bit of glitz and glamour to a city on the rise. 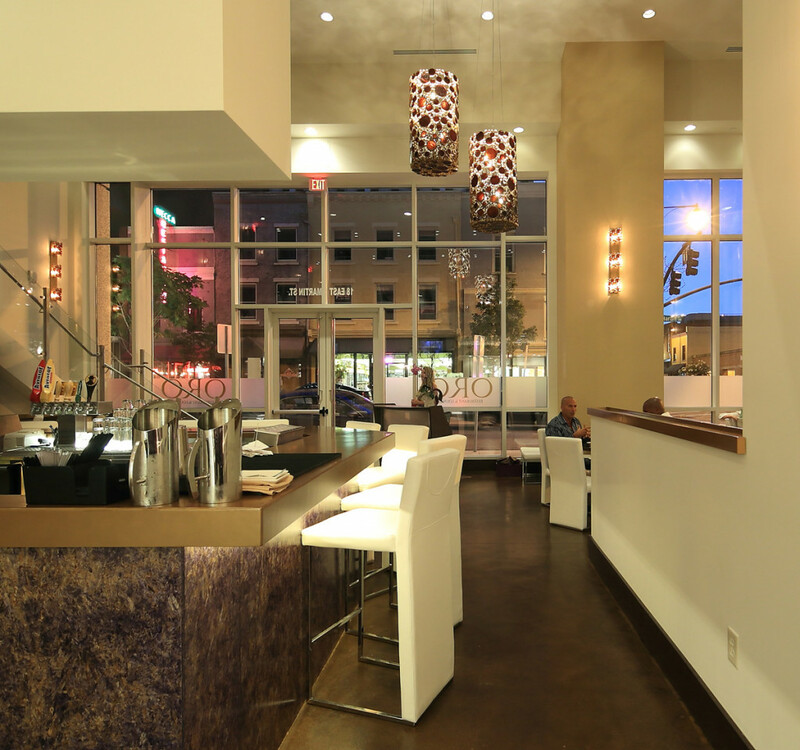 A ten foot rotating wine carousel creates a great conversation piece while adding a whimsical element to the overall interior.